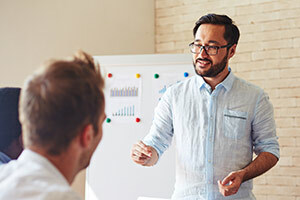 Whether you’re looking for a new career, changing careers, or searching for the right person to fill your position, Workforce Boulder County has your solution. WfBC is your partner in making Boulder County a vital place to work, live, and play. 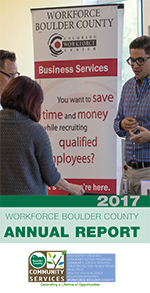 Workforce Boulder County (WfBC), a Colorado Workforce Center, offers a wide variety of services to Job Seekers and Businesses, including Veterans Services, and a Young Adult Program. We provide a wide variety of no-cost services to help employers meet their recruitment goals and ensure a qualified workforce. We have a wide selection of workshops for people looking for a new or better career, wanting to learn more about money management, and about the steps to owning a new home. 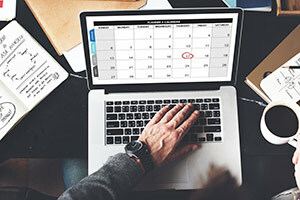 See our schedules for classes, training, events and workshops. Annual Report, fact sheets, planning documents, office locations, and more.